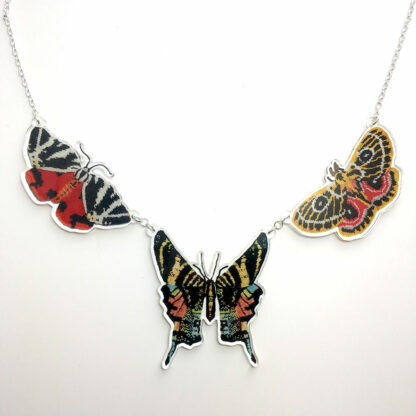 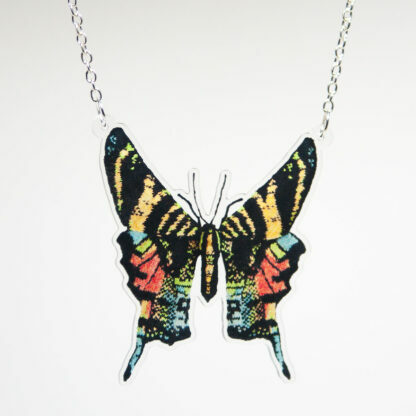 Make a statement with this triple moth necklace! 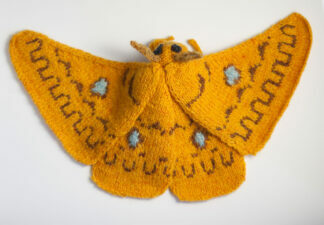 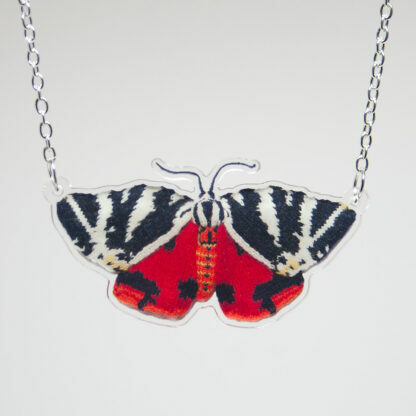 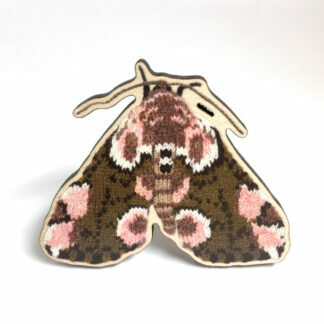 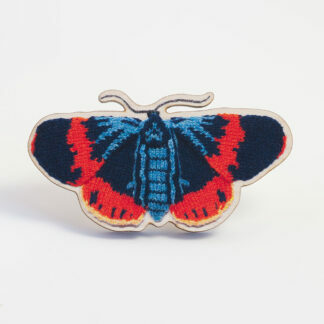 Hand knitted Jersey Tiger, Sloane's Urania & Zaddach's Emperor Moths printed onto 3mm crystal clear acrylic. 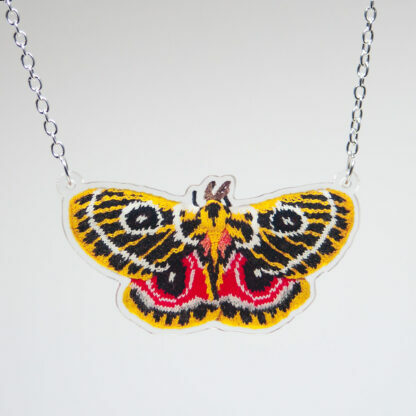 Make a statement with this triple moth necklace! Hand knitted Jersey Tiger, Sloane’s Urania & Zaddach’s Emperor Moths printed onto 3mm crystal clear acrylic.